From 31 August, members will again earn point-based rewards on every dollar spent in Woolworths’ Supermarkets and BWS stores. For the first time, they will also be able to earn rewards at 530 Caltex Woolworths outlets. The supermarket giant said the decision to reverse its loyalty scheme changes was the result of customer feedback. Woolworths announced a $500 million overhaul of its loyalty program last October, dropping the ‘Everyday Rewards’ moniker and points-based scheme in favour of ‘Woolworths Rewards’ and a program where shoppers earned dollars for buying ‘orange ticket’ items across a host of product categories. When the balance reached $10, that amount would be taken off a customer’s shopping bill. The decision received significant criticism from customers, who took to social channels to express their dissatisfaction with the changes. Woolworths director of loyalty and customer data, Ingrid Maes, admitted the group had not provided sufficient payback to enough of its loyalty customer based through the new-look program. “We are pleased that our members have responded positively to automatically getting money off their shopping. However, we’ve acknowledged that we didn’t deliver enough orange ticket offers in-store,” she said. “While many of our members have been rewarded well, too many have not. Alongside the re-introduction of points for all dollars spent, Woolworths said it will offer double points on items from popular household categories, including launch deals on fresh fruit and vegetables, fresh meat and items from the deli and seafood counter. Customers will automatically get $10 off their shopping each time their points balance climbs to 2000 points. Woolworths is also offering to additional ways of redeeming points: By either converting these to Qantas Points (870 for every 2000 Woolworths points), or to bank them for Christmas. There will also be an increase in personalised offers sent directly to members on items they’re already purchasing. Industry experts agreed the shift back to a point-based, immediate earns program was a good decision. 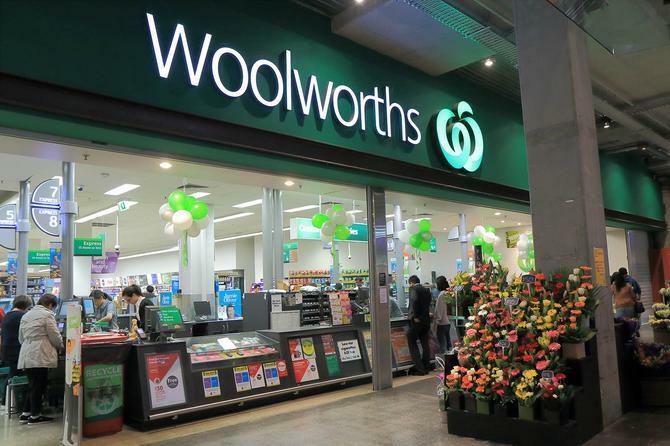 Managing partner at customer engagement consultancy Ellipsis & Company, Adam Schaffer, suggested at least three inter-connected reasons why Woolworths re-introduced points: Sales impact, data and suppliers. In the first case, minimal opportunities to earn dollars on orange ticket items meant low customer engagement, therefore minimal sales impact. “Secondly, low engagement meant low swipe rates, leading to poor data collection – negating one of the primary reasons for operating a loyalty program in the first place,” Schaffer said. “And thirdly, low customer engagement meant suppliers did not want to invest, and we know many suppliers were diverting significant marketing dollars away from Woolworths. We believe this is certainly an improvement on the widely criticised relaunch of Woolworths Dollars, and is closer to the proposition Woolworths should have built in first place. CEO of customer loyalty agency Directivity, Adam Posner, suggested Woolworths now has a more competitive loyalty program which is both easier to understand and makes it simpler for customers to gain rewards. He noted that on the basic spend with no boosters, customers will be receiving a 0.5 per cent discount ($2000 = $10 off) on their purchases, and gaining rewards across a much larger range of items with no minimum spend. Those wanting to up their Qantas Frequent Flyer points also benefit, while the points earned on fuel purchases is also higher than that with rival, Coles Express. “The supermarket rewards programs are closer again and now it will be a battle of getting the message clear for consumers,” he said. AIMIA loyalty business consultant, Jono Carroll, labelled the switch bank as a reflection that the program designed launched in 2015 was one based on business needs rather than customer strategy. "The result was a program design that was developed to save on costs and influence behaviour in ways customers were not willing to adapt," he said. "A loyalty proposition should be carefully considered based on the business' strategy, design, technology and implementation plan, with a clearly defined set of measureable objectives driving it. Customer data collection that comes from loyalty should be respected and regularly analysed to understand where the program is successful and where it requires changes or tweaks based on the outlined objectives. Measurement against the objectives ensures the constant evolution of the program based on the needs of customers and the commercial outcomes required by the business." According to Schaffer, points remain a popular way of engaging customers, particularly in a segment that involves frequent purchasing. “The key to a successful points program is a simple and compelling proposition, with the opportunity for regular engagement,” he said. “Points are therefore ideally suited to a category like grocery, where customers transact frequently and where consistent earn rates are enriched by bonus offers. Maes said more improvements were being planned to the Woolworths loyalty program. “We’ll continue to listen to our members and introduce new, attractive features to evolve the program in line with member preferences and feedback,” she added.